Are you in need of a hearty winter warmer as we’re working our way into the new year? 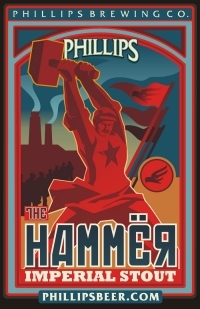 The Hammer Imperial Stout packs a wallop with it’s roasted barley nose and 8.3% alcohol content. The Hammer strikes back for a limited time in 650ml bottles and is available in cold beer and wine shops, as well as here at the brewery.